jobs.ch is Switzerland's leading online platform for jobseekers and employers across all sectors. jobs.ch helps companies and HR consultancies fill their vacancies with top-quality people - simply and cost-effectively. The platform is an efficient and reliable online job marketplace for job seekers. jobs.ch has an average of more than 3.2 Mio. Visits, 30'000 job ads and 21 Mio. 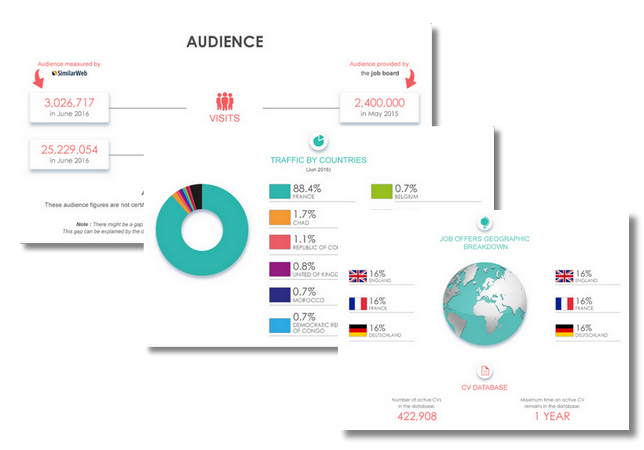 Page Impressions per month and is the online job portal in Switzerland (monthly average July 2012 - August 2013). 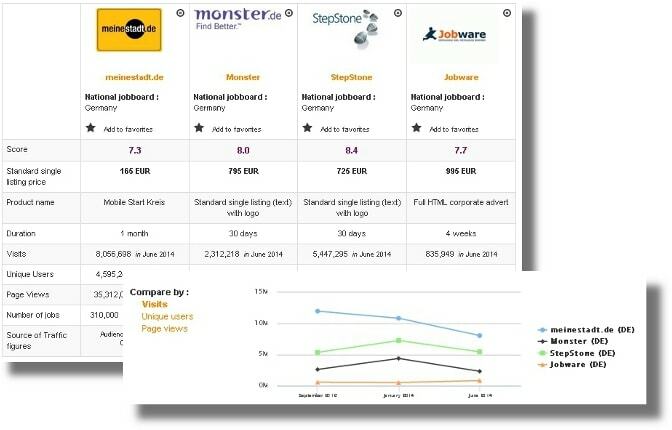 Summary: Originally SwissWebJobs in 1996, Jobs.ch has been around since 2000. Jobs.ch is just one of the Swiss generalist job boards that belong to JobCloud (created in 2013). In fact, this site and Jobsup are the two leading job boards in Switzerland (not including Indeed)! As many as 3.20 million visits a month are recorded on SimilarWeb (including a rather high percentage of German visits), and it’s not hard to see why. The interface is user-friendly, recruiters have access to free posting, jobseekers can apply without an account and the site is available in English and French. The team has gone to a lot of trouble to appeal to all kinds of users, and even include quirky photos of the team on JobCloud as well as useful information about the company. On social media, Jobs has a small following on Twitter (only 424 followers), but it makes up for that with Facebook (75 598 followers), Linkedin (315), Xing (556) and Youtube (639). Design: The homepage is very business-orientated. You can jump right into the job search thanks to the search engine (keywords and location) at the top of the page over a backdrop image of a serious businessman receiving a text. Your other options include browsing the various fields or looking through the company pages. In fact, you can search companies by keywords and location. The companies have good branding and following options, as well as ratings and other feedback from current or past employees. Once in the job listing, the filters (field, workload percentage, position, employment type, industry, company type) appear as an advanced search. Not only can you browse the offers on Jobs (which have logos, keywords and visible publication dates), but you can also see job offers from elsewhere on the net. The job board objective: Jobs.ch gives jobseekers and recruiters jobs. 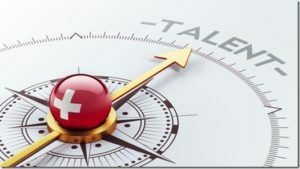 Whether you want to hire or you want to work in Switzerland, Jobs is the place to go. Recruiter observations: As a recruiter, you can only order your job offers through the site if you have a Swiss billing address. A confirmation form is then set to your e-mail address. Jobseeker observations: It’s easy to create an account and include exterior documents (which the website can recognise and organise). You must fill out all your profile information to make it visible to recruiters. Even if you have an account, you must fill out a short form to apply to offers. The job offers: 78 793 job offers. Social services, building trade, retail and industry various have the most job offers. Reactivity: The team answers within a couple of days and they are helpful. Special features: Career advice; the app; the many photos of the team (with funny alternating photos); the company reviews and ratings; job alerts; the international recruitment service; the statistics (on the recruiter account); following companies; the icons; the visibility options (which are different for companies and recruiters); Firstbird; the resume parser; the timeline; the testimonials; salary comparator (very detailed) and other salary information based on job offers and CVs; cover letter examples; the job adverts from the web; the detailed talent check. Verdict: Jobs has great transparency, clear instructions and an easy application process. The interface design is easy-to-use for recruiters and jobseekers alike. If you’re in Switzerland looking for work or for hires, you’re bound to be dealing with JobCloud, so Jobs is a good place to start. The salary information is particularly interesting. Login here for FREE to unlock access to the traffic audience, content and pricing section for more information on Jobs.ch. Jobs.ch conducts close collaboration with a far-reaching network of Swiss online partners from the most diverse sectors. Moreover, jobs.ch's advertisements appear on all our appropriate partners' websites. Thanks to this increased reach you can be assured of targeting the right candidates with your job advertisement on jobs.ch. To view all our partnerships visit our website www.jobs.ch.